Usually several things have to come together to stimulate a post from me. I’m lousy at writing off-the-cuff. Today that happened. 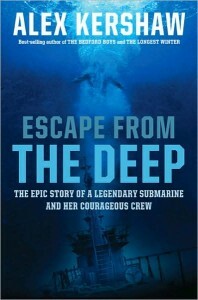 I have been listening to the audio book version of “Escape from the Deep” by Alex Kershaw. Some lamer complained in comments about my referring to Communist China by the abbreviation ChiCom. I really hate PC types so that got me thinking about an article on the subject. I had an interesting discussion with the son of our most famous local war hero, Bill White, the subject of the book “Swifter than Eagles“. I mentioned the book and we got to talking about how much abuse Bill had suffered at the hands of the Japs. I came back to my cabin, finished the audio book and sat and thought. I thought some more about Bill. I thought about what my dear late father, Eben DeArmond, also a highly decorated war hero, went through after his wounding at the Battle of St. Lo. I thought about that PC prick who wrote his little name-calling comment. Then I thought about all the people, especially those significantly younger than me, who have grown up being fed exclusively the PC version of history. I decided that it was time to write a very un-PC article. 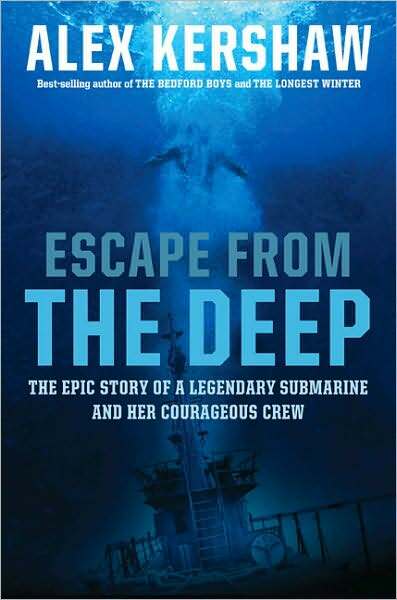 In the book, Alex documents the last voyage and the sinking of the USS Tang, the most highly decorated sub in WWII and the sub with the most kills. As President Truman referred to it, “The Best of the Best”. On the last shot of the mission before they were to go home, the torpedo they launched malfunctioned, circled around and struck the Tang, sinking her. Miraculously, 9 sailors including the captain escaped from the ocean bottom, only to be captured by a Jap naval patrol. The rest of the book describes what the Japs put these men through. They were taken to Camp Ofuma, a Jap POW camp. Here they were subjected to all manner of torture and deprivation, perhaps rivaled only by the Nazis. Because they were submariners and because the US subs were doing such an awesome job of killing Jap shipping, they were tortured especially badly. The survivors of the camp describe such things as running razor blades under fingernails, “water curing” which involved forcing enough water into the prisoner to inflate his stomach and then beating his stomach with clubs, poking pencils between their fingers and savage beatings with baseball bats. The passage that got to me the most is excerpted below as an about 4 minute MP3 audio file of about 500kb. I don’t want to say anything else about it. Just listen. If you’re like me, you now have a tear or two leaking out of your eyes. How can something that calls itself a member of the human race do that? Especially when there is no purpose other than revenge. “Jap” is about the nicest name I can think of. “Oh”, but you say, “They’re not like that now.” Says whom? The still teach their kids that they didn’t start the war with us. They have a history of a thousand years or so of brutal warrior culture and that didn’t change just because they got nuked a little. Like a recessive gene, it is suppressed right now but given the opportunity, the imperial warrior culture could resurrect itself literally overnight. Finally, I urge you to get the book, preferably the audio book version, as the narrator, Richard Poe does a marvelous job. The audio version is probably twice as good as print. PS: The first person who tries to equate this stuff to Abu Grabe or Gitmo will become my very first banned reader. If you can even contemplate such an equivalence then you’re too ignorant to occupy space on my blog. website. It’s the best one I have stumbled across in years. I have an older friend who had family members suffer horribly at the hands of the Japanese in the Second World War. I, too, am tired of the PC crap. found an old link and am again enjoying your blog—such a variety of interesting and useful stuff. Google Dark Angel, the American pilot who “shot down” an American plane to prevent capture and torture by Japs in Philippines. Thanks for a truly interesting and informative blog. Americans have never been able to learn from their mistakes, and still do them all over again. You don’t help redeeming your people at all. The manipulating zionists think you are very useful!